Who says a spooky sci-fi movie can't still be funny? 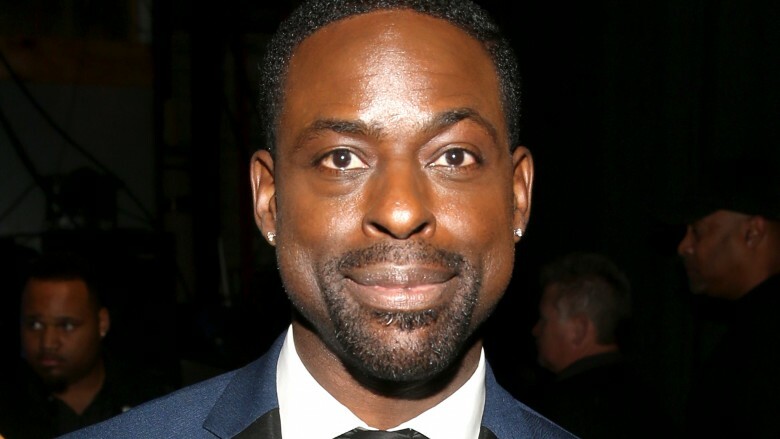 Sterling K. Brown, star of the upcoming Predator reboot, told Entertainment Weekly that the film will take on a humorous tone, one that's signature to director Shane Black. And although it's the fourth installment in the movie franchise that pits aliens versus humans, the upcoming version of The Predator will be completely original. "Shane has his whole take on it, and it's very different than the original Predator," Brown said. "It's got a really wicked sense of humor to it, which I love about it." But the freshness doesn't stop there. While Brown couldn't give up too much information on the forthcoming film, he did touch upon the tight-knit relationship between the main creature-fighting crew. "It's got a real camaraderie amongst the main characters that I think folks will be attracted to," Brown said. "That's pretty much all I can say." That sounds like good news coming from an Emmy-winning actor who's also a massive Predator fan, one who refused to stop loving Predator even when his friends poked fun at him. "I'm a huge fan of Predator," Brown admitted. "Of course, everybody loves Jesse the Body [Ventura] and Arnold [Schwarzenegger] and Carl Weathers and Bill Duke. My friends at Stanford used to tease me." However, amongst the jokes, a few of his buddies made an eerie prediction. They thought Brown would be cast in the reboot. "Being the dark-skinned African-American man that I am… they'd say, 'Yo, man, you're going to start getting all [those] Bill Duke roles when you get older.' And I was like, 'I don't look anything like Bill Duke, you guys can kiss my a**,'" Brown recalled. "So then I booked this movie and I told them, and they're like, 'Dude, do you even realize that you're now Bill Duke?' And I had to go tell them to kiss my a** all over again." In The Predator, Brown will reportedly play a government agent who incarcerates an ex-Marine named Quinn (Boyd Holbrook), but he later realizes that he needs Quinn's help to battle the Predators. Brown co-stars alongside Olivia Munn as scientist Casey Bracke, Trevante Rhodes as ex-Marine Nebraska Williams, Jacob Tremblay as Quinn's son, Yvonne Strahovski as Quinn's ex-wife, Alfie Allen as another ex-Marine, and Keegan-Michael Key in an unnamed role. Fans can also catch Brown as N'Jobu in Black Panther, which is set to hit theaters on February 16, 2018. The Predator is slated for a February 9, 2018 release. In the meantime, check out the other films you won't want to miss next year.